PHNOM PENH, Cambodia (AP) — Myanmar's president confirmed Wednesday that his country will allow some foreign election observers, including from the United States and Europe, to monitor next month's polls, considered a crucial test of reforms he has taken in the military-dominated country. Myanmar President Thein Sein, making an official visit to Cambodia, said each of the 10 member countries of the Association of Southeast Asian Nations would be allowed to send two official delegates to watch the April 1 by-elections, according to Cambodian government spokesman Khieu Kanharith. 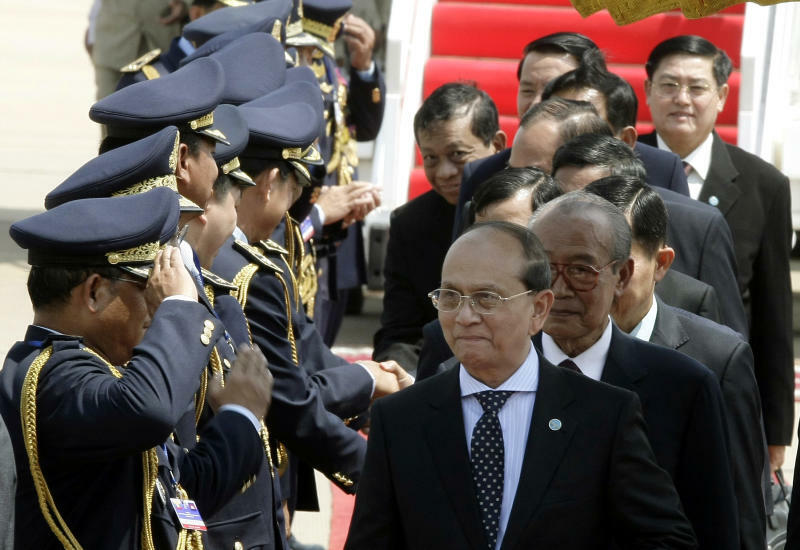 Khieu Kanharith cited Thein Sein telling Cambodian Prime Minister Hun Sen that ASEAN's so-called dialogue partners — Australia, Canada, China, the European Union, India, Japan, New Zealand, South Korea, Russia and the United States — would also each be invited to send a small delegation, as would ASEAN's own administrative office. It was not immediately clear what sort of access would be granted to the observers, but their invitation is considered a breakthrough. Myanmar's former ruling junta had rejected international bids to observe the last two elections, in 2010 and 1990. The National League for Democracy, Myanmar's main opposition party led by Nobel peace laureate Aung San Suu Kyi, has expressed concern about the possibility of electoral fraud. The party solidly won the 1990 elections but was never allowed to take office, and it boycotted the 2010 elections as neither free nor fair. Its participation in the April vote is seen as an endorsement of the reforms Thein Sein has undertaken since taking office last year. Khieu Kanharith said Thein Sein had asked Hun Sen for information on its experiences with foreign election observers and the Cambodian leader agreed he would send some documents on the subject. 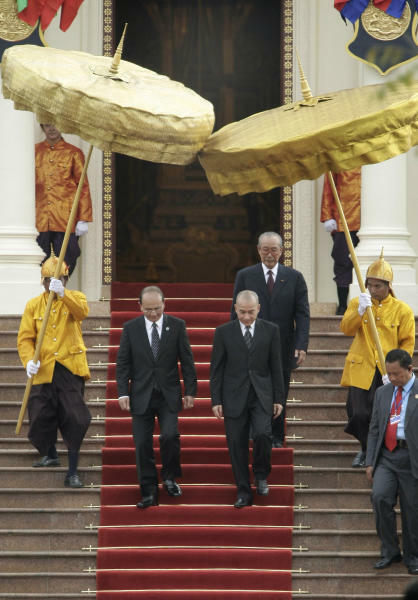 Hun Sen, like Thein Sein, has been accused of using the democratic process to front for authoritarian rule. 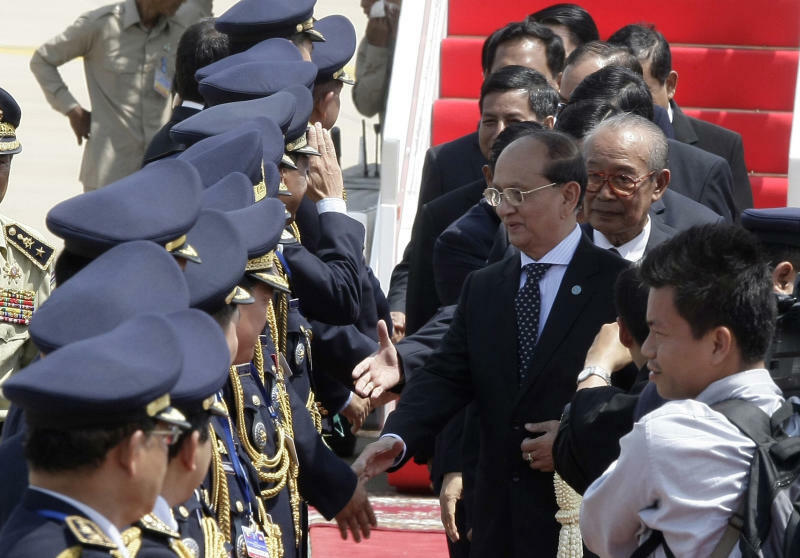 Thein Sein leads an army-backed party that won a landslide of seats in the 2010 polls. Although he has taken reform measures such as easing limits on the press and freeing political prisoners since taking office a year ago, he rules under a constitution that ensures that the military retains the dominant role in politics. ASEAN had said Tuesday poll watchers from regional countries were invited, and the U.S. Embassy in Myanmar confirmed the expanded invitation Wednesday. In Washington, State Department spokeswoman Victoria Nuland said the U.S. would take up the opportunity to observe the election. She said the U.S. had been invited to send two representatives and three journalists and would coordinate with ASEAN and other invited observers to maximize the impact their monitoring could have. "This is a good first step," Nuland told a news briefing. "Burma has not allowed international observation before, but it does fall short of complete transparency on an election, and we hope they will continue to keep the system open and open it further." The U.S. government refers to Myanmar by its old name, Burma. The April by-election is being held to fill 48 parliamentary seats vacated over the past year. Suu Kyi, a former political prisoner, is running for one of the seats in parliament and has generated enormous support for her party in a nationwide campaign tour. If Suu Kyi wins, she would have a voice in government for the first time after decades as the country's iconic opposition leader. The United States and other countries have said they will wait to see if the by-elections are free and fair before they consider lifting political and economic sanctions imposed against the former military regime. In Washington, Aung Din of the pro-democracy group U.S. Campaign for Burma expressed skepticism about the election, saying the Myanmar government was exploiting it to start to get sanctions lifted. He alleged there had already been widespread irregularities, including fraudulent voter lists, vote-buying and bias among branches of the election commission. Suu Kyi has charged that voter lists contain the names of deceased people. "I don't know how international observers can catch this fraud while they arrive Burma two or three days before the election day," Aung Din said. Associated Press writers Jocelyn Gecker in Bangkok and Matthew Pennington in Washington contributed to this report.